Alpine skiing, Nordic skiing, Snowshoeing, Sleigh rides, etc. Enjoy the ski resorts of the Aragonese Pyrenees just 30 minutes away. Formigal boasts the longest skiable runs in the Pyrenees, amounting to 137 km. It offers multiple fun activities to slide down the slopes and enjoy the snow. 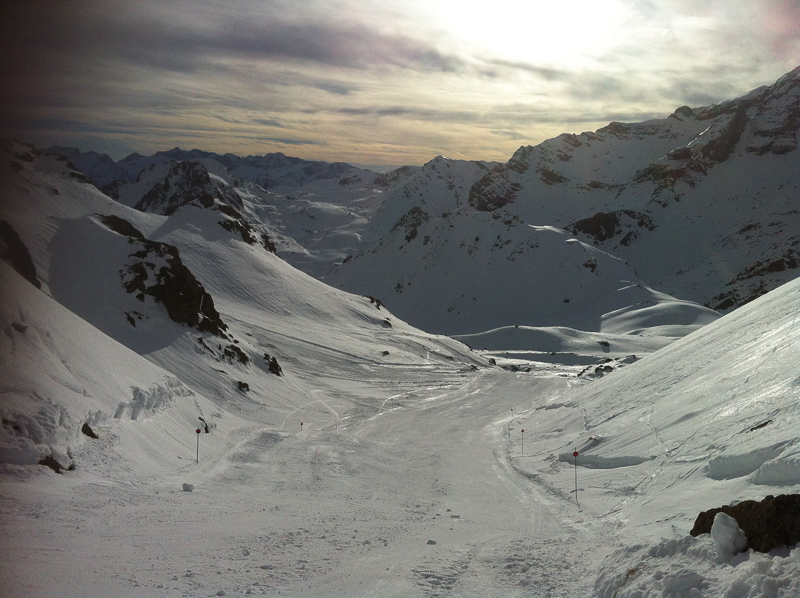 Formigal boasts the longest skiable runs in the Pyrenees, amounting to 137 km. 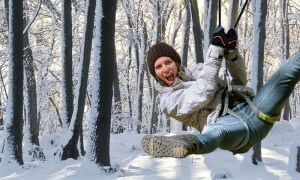 It offers multiple fun activities to slide down the slopes and enjoy the snow. PURCHASE YOUR SKI PASS WITH US AT THE BEST PRICE. Just 7 km. away from our accommodation, the largest Zip-line park of the Aragonese Pyrenees. 7 circuits for all ages and physical conditions to enjoy the most thrilling and adrenaline-packed adventure imaginable. A privileged spot for all golf lovers. We offer 2 golf courses. The par 71 course in Las Margas Golf designed by Olazabal and a fun 9-hole Pitch & Put. Enjoy a round of golf in the Pyrenees for an unforgettable experience that will please all lovers of golf and nature at its finest. Scoring an eagle with a backdrop of snow-capped mountains will satisfy you more than scoring an albatross on any other course. The spectacular setting makes this a complete privilege, allowing you to soak in nature from a different perspective. Experience the harmonious sound of horse’s footfall, the soothing nature of the animal and the breath-taking beauty of the scenery. The activity will always be led by guides following strict safety measures. No riding skills or experience required, you just need to be willing to enjoy an unforgettable time with your family or friends. Canyoning and Rafting are the favourite water activities of adventurous visitors in the Pyrenees. Jumping, natural water chutes, rappel, waterfalls, gorge walking. In an amazing setting, these are the ingredients for our most popular activity. Canyoning is an activity that involves descending a gorge by foot whilst Rafting employs a raft and can be done by anyone. However, it is advisable to be able to swim, especially in aquatic gorges. Families with children aged over 8 or weighing over 30 kg, can enjoy a beginner’s Canyoning circuit (Level 1). A half-day activity to enjoy a fun canyon adventure safely. Las Casas de Satué are located in a privileged setting for hiking. Starting from the accommodations themselves, you can ascend Mount Oturia on the GR-11 trail that crosses the pine forest behind the houses and ascends to the Santa Orosia meadow on the foot of Mount Oturia. Over a half-day hike you can enjoy a family activity on a spectacular itinerary through the magnificent scenery and the calm and peaceful trails. If you are looking for more challenging trails, a 30- minute drive will take to the trails leading to stunning settings such as Los Arnales in Panticosa or Los Ibones Azules and Anayet in the Tena Valley. Families with children aged over 6, can enjoy a mountain weekend filled with shared thrills and emotions. Hiking through the hills and enjoying the natural scenery becomes even better if you top off the experience with a river swim. Gorge walking, rafting in the mountain water to freshen up and climbing on a via ferrata. A safe and fun complete mountain experience. Tennis and Padel available. 2 Tennis courts and 2 Padel courts at your disposal. The Tena Valley offers hundreds of trails to discover on a mountain bike. The trails range from easy beginner’s paths for the whole family to challenging expert runs that will test you on narrow and steep downhill runs. In the Santa Cilia aerodrome. If you have always dreamt of soaring the heavens like an eagle, this is your chance to earn your wings on a glider flight. Experience the technical wonder of a craft that allows you to free fly. You will soar on a glider, feeling the lift of thermal air currents as they carry you along. You will experience the power of soaring birds when they ride these air currents. For 30 minutes, you will rise above the area surrounding the aerodrome with the help from a tow plane. Once you reach soaring altitude, the tow is released, leaving you to glide the air currents freely. Don’t worry about the landing! The aerodynamic design of the craft will guarantee a smooth and gentle touchdown. Don’t miss this chance to soar like an eagle in the Huesca skies.